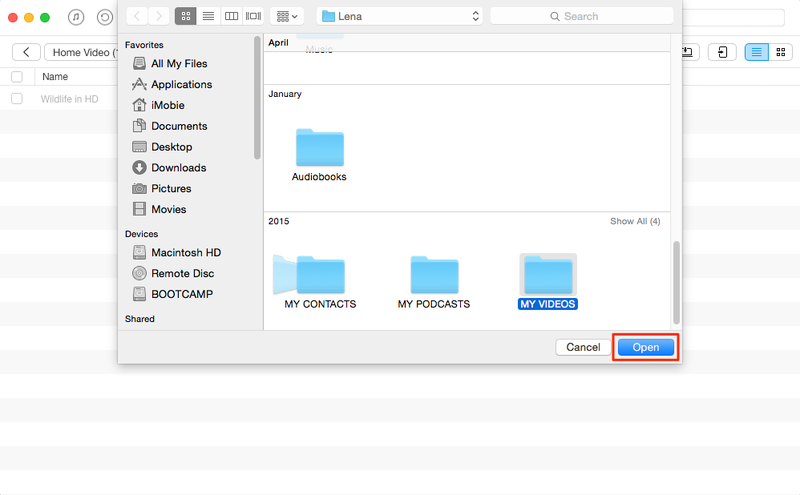 How to Add Videos to iPhone without iTunes – iMobie Inc.
How to add videos to iPhone without iTunes? This guide will show you how to make it easily in few steps. Download and install AnyTrans on your computer and then easily transfer videos to your iPhone without iTunes after reading this guide. As a powerful audio and video management tool, iTunes give a best way to organize and enjoy the music, movies and TV shows you have. It supports transferring these items like videos from iTunes to your iDevice. However, there is always some problem when Apple users use it like: the operation processing is too complex that I can't make it, or it erased my existing videos on iDevice when sync new videos to iPhone sometimes. Therefore, for many users who are not familiar with iTunes or don't like to use it, they'd like to find out other tools to replace iTunes to help them to solve problem. 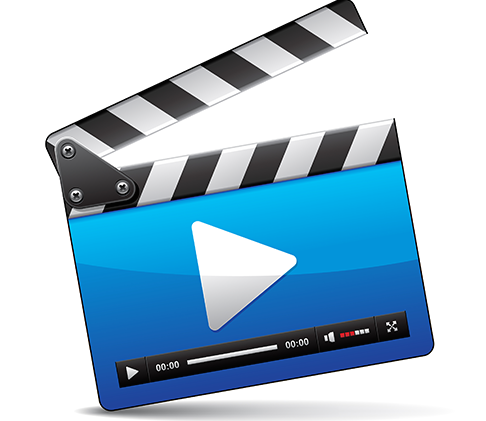 Here, we will recommend you a professional transfer tool – AnyTrans to add videos to iPhone without iTunes. AnyTrans, as an iOS contents transfer tool is aimed at transferring up to 28 types iOS contents between computer and iDevice with many excellent features. Why to choose AnyTrans? Let's have an introduction of it. Supports transferring videos from computer to iPhone directly and also make you access to iTunes library. Therefore, you can transfer videos from iTunes to iPhone without erasing your existing videos on iPhone. 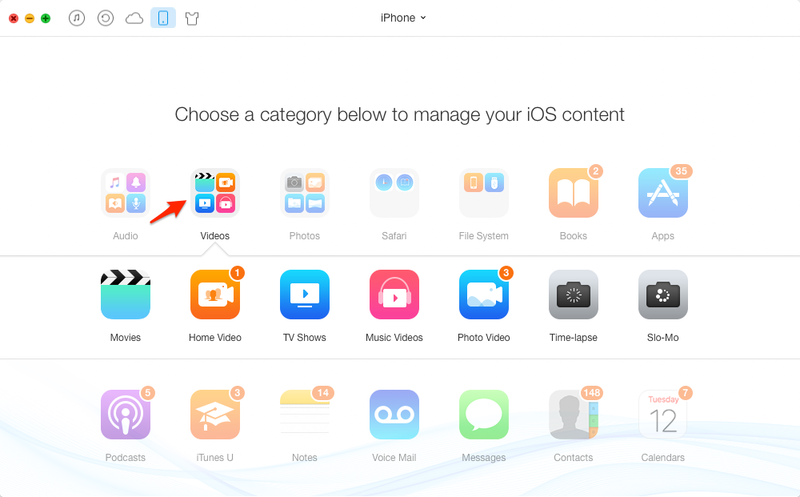 Supports transferring videos, music, notes, contacts, photos and more other contents between iDevice and iDevice directly. Besides transferring data from iDevice to iDevice, you can also manage some data on AnyTrans like: notes, contacts, calendar, you can delete them, edit them, or add new information to them. Offers you a chance to access your iCloud and you can browse those data that you backed up then you can also export them to your iDevice via AnyTrans. Therefore, before we start this tutorial, you need download AnyTrans on your computer and connect your iPhone to computer. Step 1. Launch AnyTrans and plug in your iPhone. Scroll down and click Videos, then choose movies, home videos or TV shows etc. Step 2. On the management page of Video, click on "+" icon > Choose the videos you want to transfer on computer > Tap on Open button to start transferring. As you can see, with the help of AnyTrans you can easily add videos from computer to iPhone. Not just supports adding videos but also music, playlists, photos or other more contents to iPhone without iTunes. Now try to download it. For this tutorial, if you have any question or problem when use AnyTrans, be free to contact us by Email.